Just more than two years to the day after opening in the Boston Seaport, Yo! Sushi has closed for good. 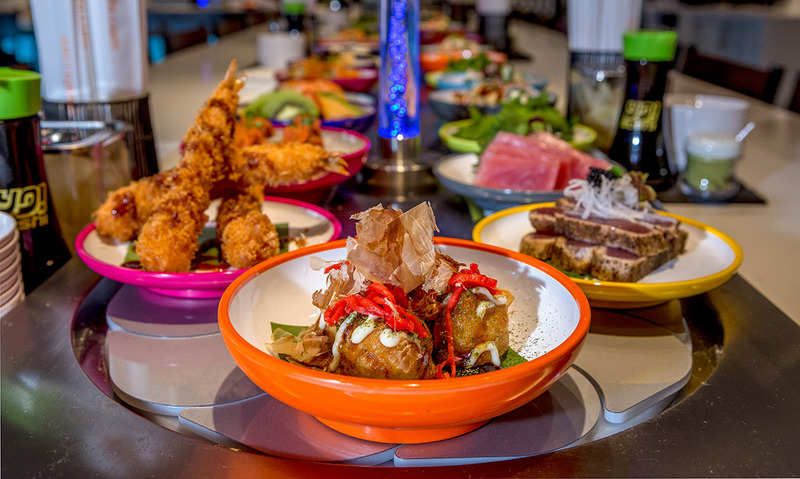 It was a kaiten restaurant, or conveyor belt sushi, and an outpost of the global chain that first introduced the whimsical, Japanese-inspired concept to the U.K. when it debuted in London 20 years ago. Yo! Sushi’s conveyor belt—sometimes called a “sushi train”—presented sashimi, nigiri, and maki dishes for $3.50 a pop, and there was also an izakaya menu of tempura, fried chicken karaage, gyoza, ramen, and more, ordered a la carte from servers. Earlier this year, Yo! Sushi introduced kaiten-kase, as well: a corporate-chef-selected eight-course tasting menu (omakase) straight off the sushi train. The quirky eatery with its open kitchen was one of the first tenants of Seaport Boulevard’s Watermark building, opening in October 2016 just after Shake Shack, and just prior to Better Bagels and Ben & Jerry’s. Boston Restaurant Talk notes that Yo! Sushi is also one of a handful of 2018 Seaport District closures, along with Salvatore’s, The Whiskey Priest, 75 on Courthouse Square, and La Casa de Pedro. Several Twitter users noticed Yo! Sushi closed last night, with one sharing a photo of a sign taped to the door: “It is with regret that we are announcing that due to some recent changes, Yo! Sushi has had to close,” the sign reads in part. The corporate office of Yo! Sushi tells Boston the closure is a business move following its 2017 acquisition of Bento Sushi. That brand “has a strong presence in North America through its kiosks and supermarket-based sushi bars, [so] our focus in the US has changed. As such, we will be closing the Boston Site as we look to take full advantage of Bento’s already established position as the second largest sushi brand in North America.” Toronto-based Bento Sushi has more than 540 locations in Canada and the U.S., but is not currently in New England. 79 Seaport Blvd., Boston, October 2016, 857-4000 797, yosushiusa.com. This story was updated at 2:20 p.m. with a statement from Yo! Sushi.